While most of our commercial electrical customers call on us for new construction or renovation, we're also relied upon for safely and professionally removing or relocating often complex and even unwieldy electrical systems. With BG Products' communications antenna, we ended up finding our head in the clouds! 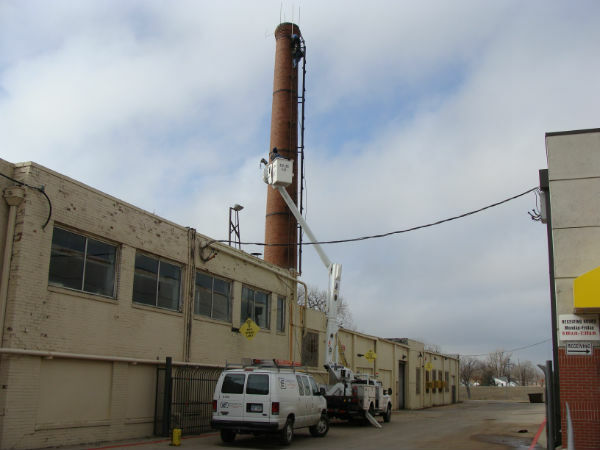 BG Products was scheduled for a demolition of an old, outdated building that couldn’t keep heat in, or its sewer systems intact. 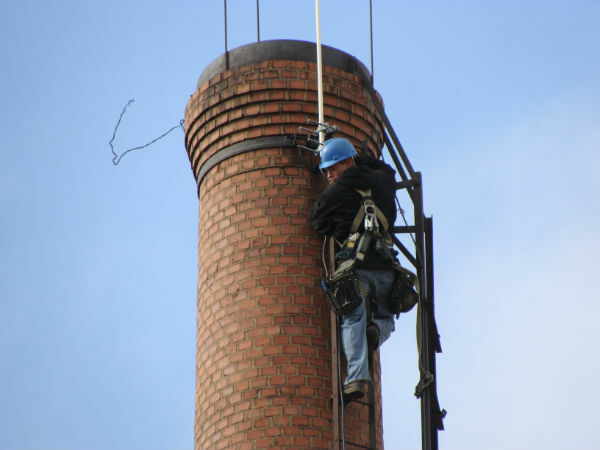 Before the building could come crumbling down, Young Electric needed to remove a communications antenna attached to the boiler smoke stack high above the building. 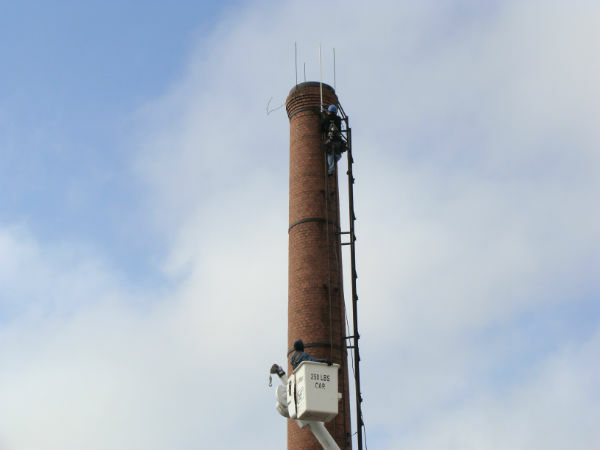 This mobile radio antenna was used by BG Products' maintenance team for long distance walkie talkie communication. The antenna worked as a repeater and amplified signals to ensure communication was always open on the BG Products site. Young Electric safely disassembled and removed the antenna to make way for the full-scale demo. Demolishing a site doesn’t mean total destruction. We helped BG Products safely and successfully preserve useful communication equipment from their old building, which is now a beautiful field of grass adjacent to Wichita's downtown Arkansas River bank.